FRANKFORT, Ky. (April 22, 2014) – As he signed the final bills passed in the last hours of the legislative session, Governor Steve Beshear applauded the many successes of this General Assembly, which include investments in education, health care, safety and job creation for Kentuckians. Gov. Beshear took final action on 19 bills passed in the last two days of the session, including the Transportation budget and six-year Road Plan. The Governor issued a handful of line-item vetoes today related to the Kentucky Transportation Cabinet budget to strike confusing and problematic language in the bill that diminished the administration’s ability to successfully manage the transportation budget, and to strike unnecessary language in House Bill 301 related to the Rupp Arena project. · Adult abuse registry: Senate Bill 98 creates a registry in which any caregiver convicted of abusing an adult must be listed, so families and private care employers can check a worker’s background before hiring. · Job creation and support: House Bill 396 and Senate Bill 84 create incentives to encourage job creation and investment in Kentucky communities. · Electronic cigarettes (e-cigarettes): Senate Bill 109 prevents the sale of electronic cigarettes to anyone under 18, regardless of whether the device uses nicotine. 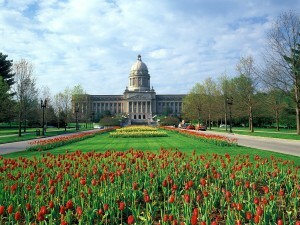 · Small business tax credit: House Bill 301 creates new tax credits for Kentucky’s small businesses. · Tourism Development Act revision for distressed counties: House Bill 493 creates opportunities for smaller-scale tourism projects to earn incentives in order to encourage such projects to locate in economically distressed counties. · Cannabidiol: Senate Bill 124 allows families experiencing difficult health problems new options for treatment through a derivative of hemp oil when prescribed by a research university or through an FDA study. · Mountain Parkway: House Bill 237 and the Road Plan include funding and support for the four-laning of the Mountain Parkway, one of the Governor’s critical goals in the Shaping Our Appalachian Region (SOAR) initiative. · Juvenile Justice: Senate Bill 200 shortens commitment timeframes and reduces out of home placement for youth with misdemeanors and Class D felonies. The bill also emphasizes investing more resources into community-based programs so that treatment for lower level offenders can be offered in the community, and creates the juvenile oversight committee that will include members from several different agencies that are involved with juveniles. · An increase in base per-pupil funding for K-12 classrooms from the current $3,827 per student to $3,911 in Fiscal Year ’15 and $3,981 in FY16. · Guaranteed pay raises for teachers and classified school personnel. · Increases in technology funding by $9.9 million, textbook funding by $33.4 million, professional development by $10 million, safety by $9.4 million and extended school services by $20 million. · An increase of $18.7 million in FY 16 to expand preschool services to reach 5,125 more 4-year-olds whose family income is within 160 percent of the federal poverty level. · $100 million in bonds for K-12 school building projects. · $145.5 million in agency bonds to support one high-priority building project at each of the state’s 16 KCTCS campuses. Agency bonds are paid back using identified revenue streams at the schools. · $418.9 million in General Fund-supported bonds and $450.8 million in agency bonds to support construction projects at the state’s four-year public universities. · An increase of $97 million over two years for the Child Care Assistance Program, which subsidizes child care for low-come families so parents can work. · $420,000 each fiscal year to staff the Child Fatality Review Commission. · $30 million in bonds to extend high-speed broadband access across the state via the Next Generation Information Highway, beginning in Eastern Kentucky. · $24 million in bonds to build an advanced manufacturing training center in Georgetown that will produce workers for Toyota and other auto manufacturers. · $32.5 million for construction of the Breathitt Veterinary Center in Hopkinsville. · $56 million for the Kentucky International Convention Center in Louisville. · $200,000 each year to fund administrative costs of “Shaping Our Appalachian Region,” the initiative to boost the economy in Eastern Kentucky, and $2 million each year for a new Regional Strategic Development Fund. · $101.3 million in FY15 and $106.3 million in FY16 to fully fund the actuarially recommended contribution (ARC) for the Kentucky Retirement System. · $39 million over two years for raises for state workers, most of whom have not had a raise since 2010.